At times, you have to deliver fragile goods and you cannot compromise with the safety of the products. For that purpose, your best bet would be air bubbled bags and pouches. They help the goods inside them to remain safe due to the presence of a layer of air bubbles throughout the bag. They are largely used when there is a need for sending small breakable items through courier. These air bubble bags come in handy when we have to deliver such fragile goods and want them to be in a safe condition. 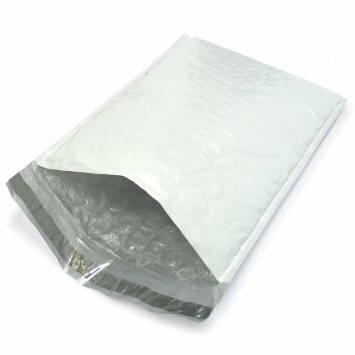 Air Bubble pouches and bags are a must if you deal with delivering breakable items. The top most priority is always the safety of our goods and we must take adequate protection for their safety. These bubble pack bags are the safest packaging option to choose when you need to deliver fragile goods. Air bubble pouches provide an excellent layer of cushioning and good protection against most of the surfaces. So you don’t have to worry about your goods while they are in transit. In offices, digital files and documents are sent using CDs and DVDs which are very delicate in nature because they are fragile. To send those, you can use these air bubble pouches and make sure they reach your clients safely. The safety of these air bubble pack bags is further enhanced because they are sealed from three sides. When these bags are in transit, the inner lining of air bubble absorbs all the external shock to protect your goods from damage. These pouches are very light in weight so when you use them you also save a lot of money in the shipping charges. Another way you can save your money is to buy air bubble pouches online from DCGpac. You can buy air bubble pouches online at low costs from DCGPAC. We offer the best quality air bubble bags and pouches so that you don't have to compromise with the safety of your products. Avail them now from DCGpac and save your money.